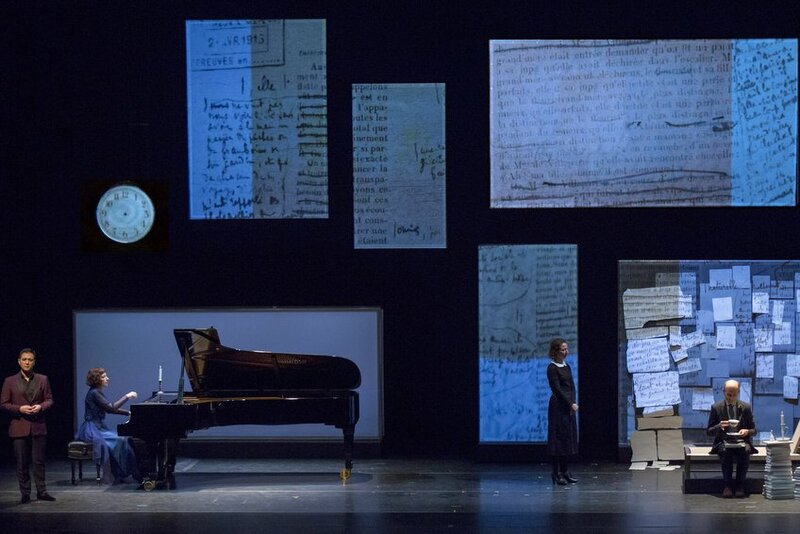 The reviews are coming in for the New York premiere of A Proust Sonata, which recently had three performances at FIAF French Institute Alliance Francaise. Parterre raved “A highly original theater piece making use of contemporary sounds and sights (and modern technology) to summarize the vast masterpiece, creating a serene occasion… Miss Rothenberg, at her piano, and her well-chosen collaborators, have created [an] uncategorizable and delectable event.” Read the full review. Concertonet.com said “Ms. Rothenberg offers here a sensuous, sometimes ravishing conception of acting, music, immaculate videos and a corporeal picture of the artist in multiple guises…epic creation…we could almost be in Proust’s world.” Read the full review.